Reynolds Contracting proudly serves as the AB Chance Certified Dealer for Charlottesville Helical Foundation Repair. We provide top quality products, installed by expertly trained crews, for solid, long-lasting results. 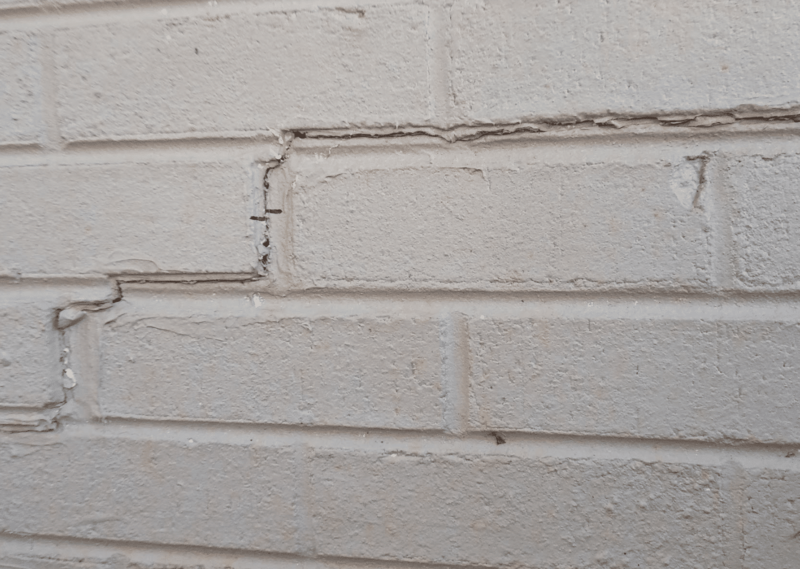 In one case featured here, we used helical piers to repair a settling foundation and stair-step crack in an exterior wall. This particular home needed several piers installed along the foundation. The wall was settling and causing a stair-step crack. 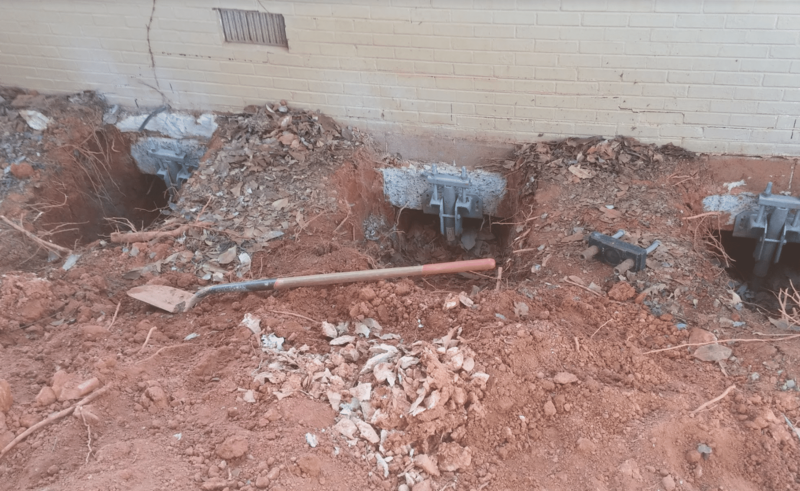 We began the installation and found that the piers were going much deeper than originally anticipated. We find deep installations due to soil quality, surface friction, pier type, and other possible variables. These piers went 50 feet deep, rather than the standard 25 feet we generally see. The first pier went over 50’ before it reached the required torque. (Using the standard, single 10” helix, piers usually torque at about 25’.). Judging this property to have unusual depths, we adjusted our strategy on the next piers. On the second and third, we added a 14” extension plate, knowing the first had gone so deep. Both of these went about 20’ to torque at a shallower depth. Unfortunately, certain conditions are often unpredictable before beginning the project. These depths are unusual, but not impossible. We quote to an estimated depth to the best of our ability; anything beyond that is priced per foot. AB Chance products are made in the USA with the finest materials and strict manufacturing guidelines. Our installations can stand the test of time due to the quality of the AB Chance products. Our crews have been trained and tested through the AB Chance certification process, requiring renewal every 2 years. AB Chance manufactures a wide variety of products suitable for many different applications. This versatile brand has proven useful to us and our clients countless times! You, too, can count on AB Chance products for your foundation repair needs. 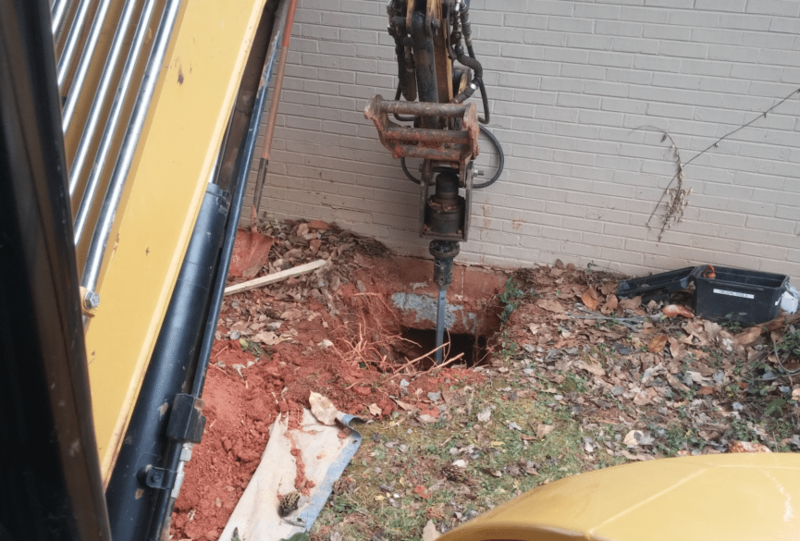 Contact us, an AB Chance certified dealer, for Charlottesville helical foundation repair. For an estimate, call 434-293-6724 today!